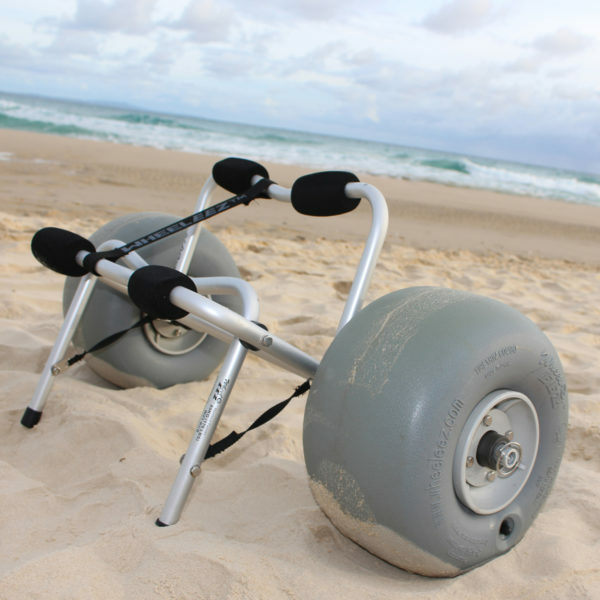 WheelEEZ® Kayak Cart Beach is equipped with 30 cm Polyurethane Beach Wheels to transport your canoe or kayak with ease over soft sand and other challenging surface terrains. 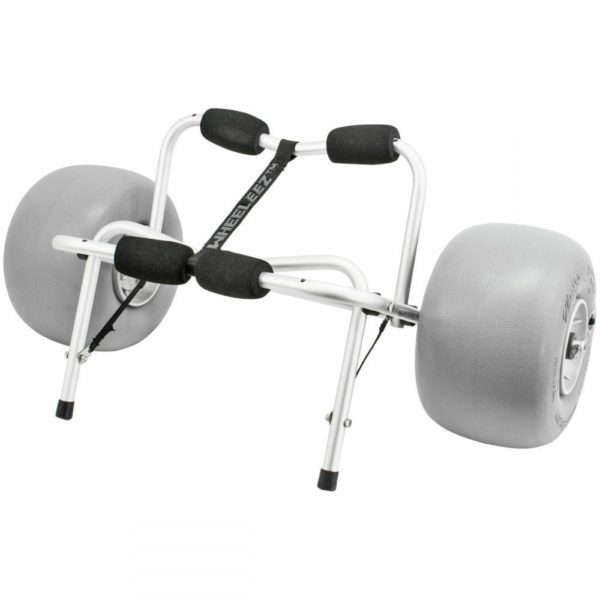 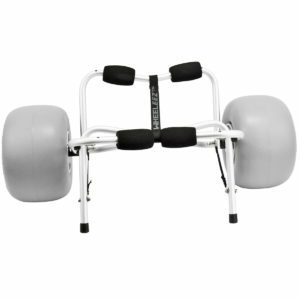 Carries up to 80 kg (176 lbs). Strong marine grade anodized aluminum tubing (3 mm wall thickness) means it is built to last. 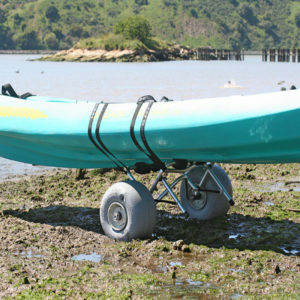 Includes 2-tie down straps to secure your kayak to the cart. 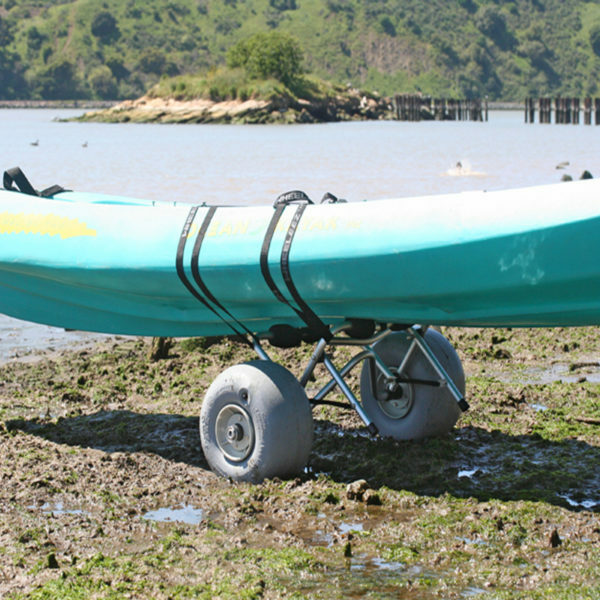 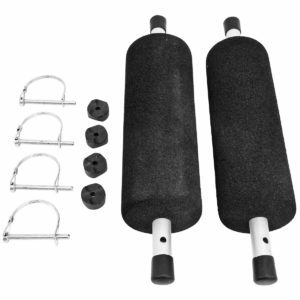 Optional Rail Kit attachment adds stability when transporting deep keel canoe or kayak.